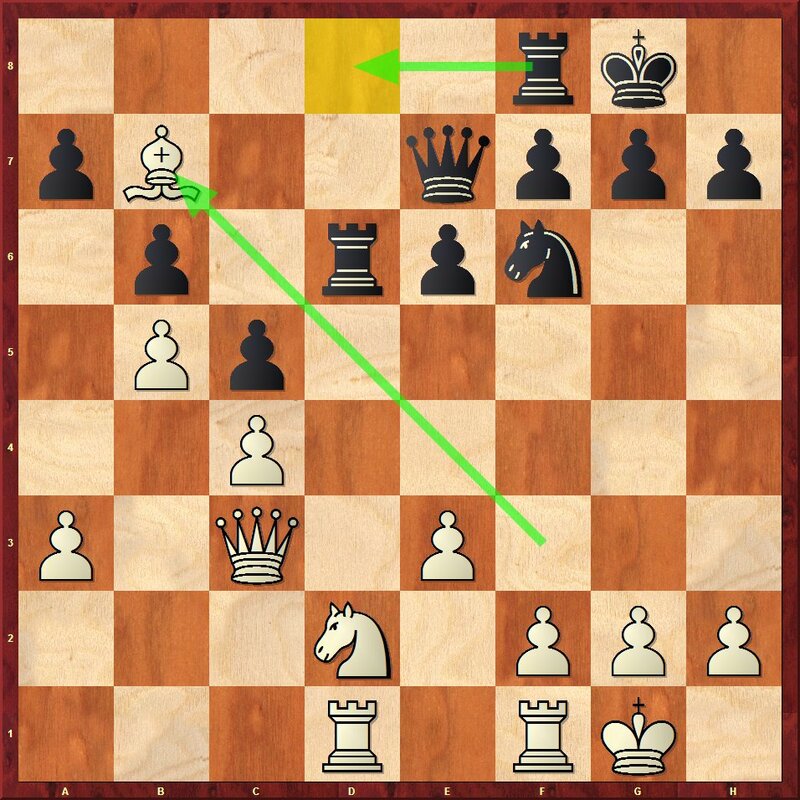 This is the collection of the worst moves ever made by the players, whose playing strength is doubtless over the one shown during making these moves. L. Christiansen never became a world champion, but he has beaten one in just 12 moves. In this game Karpov played 11...Bd6? ?without and sense of danger. Now Christiansen is winning a piece with a nifty queen fork 12. Qd1. Karpov did not bother to continue the game and resigned immediately. position after Karpov played 11...Bd6?? Kramnik offered a queen exchange to a German computer program Fritz, by playing 34...Qe3??. 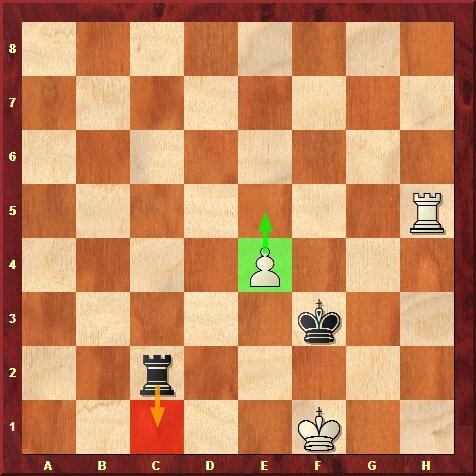 I bet the computer did not take long to find mate in one, which Kramnik has missed: 35. Qh7#. 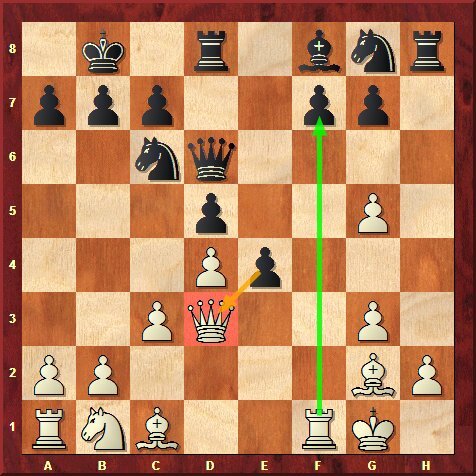 position after Kramnik played 34...Qe3?? In this position Topalov missed a simple discovered attack with a check by Dimitar Donchev: 19. 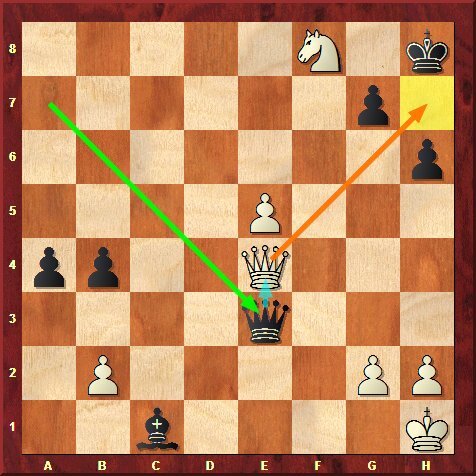 Nh6+ winning the queen. Black resigned a move later. 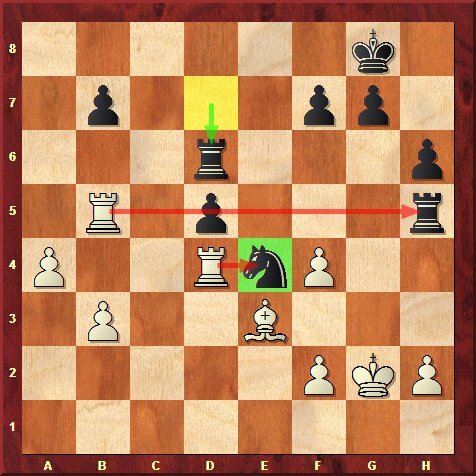 position after Donchev played 19. Nh6+! 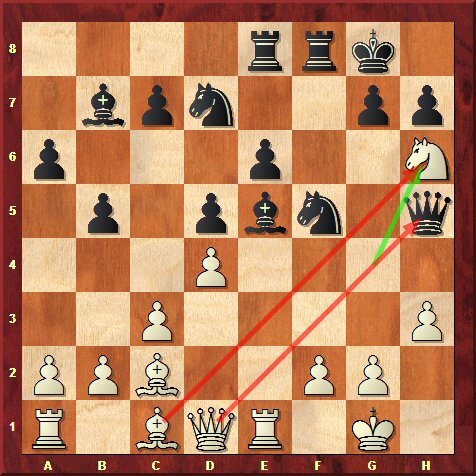 In this game Karpov did not notice a subtle threat after Sadler played 12...e4. Karpov responded with pawn capture via 13. Rxf7? ?losing his queen to a pawn (!!) 13...exd3. 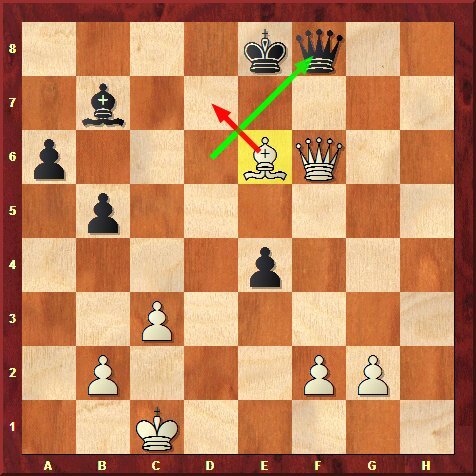 In this game Kramnik offered a queen exchange once again playing 35...Qf8?? but here he did not get mated in one like in the game before. That still loses the game though, 36. 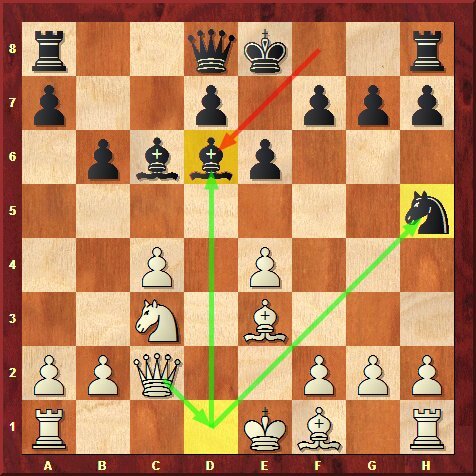 Bd7+ winning the queen. position after Kramnik played 35...Qf8?? 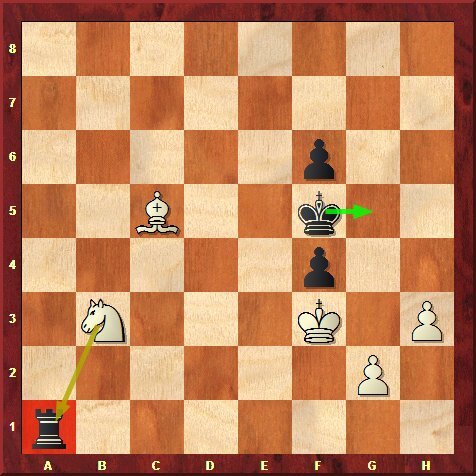 Wang Hao missed a two-move tactical hit by Kramnik 26. Qb8+ followed by 27.Qb1 winning the rook via the fork. In this game the player who blunders is surprisingly... a computer. After the bishop exchange 19.Bxb7 Shredder calculated its variation 20 moves ahead and interestingly enough decided to ignore the white's bishop whatsoever. Shredder played 19...Rfd8? ?not regaining the material. Laufente won some 30 moves later. The Shredder's lose was later explained as 'hash tables error', with one in a million chance. Shredder about to play 19...Rfd8?? In this game Gelfand played 30...Rd6?? 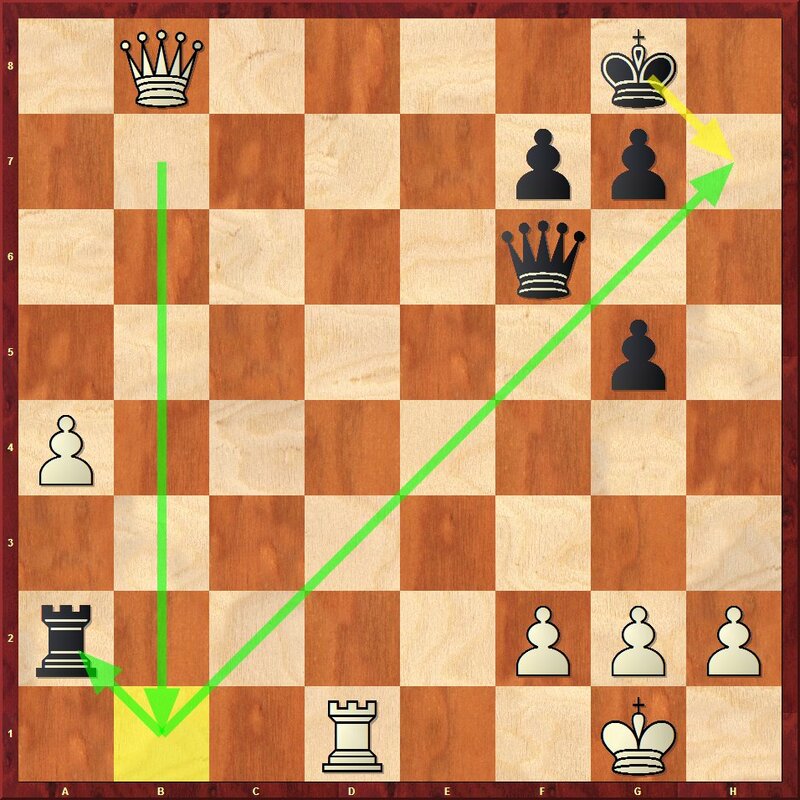 missing the hidden pin and tactical hit by Morozevich ended the game quickly 31.Rxe4winning the knight. position after Gelfand played 30...Rd6?? Here Karjakin played 100...Kg5?? hanging the rook. Nielsen was happy to finally finish off this long game with 101.Kxa1. Karjakin is about to play 100...Kg5? ?